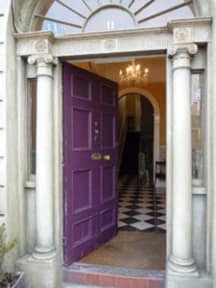 Here at Harvey's Guesthouse we take great pride in offering a clean, comfortable and well-run guesthouse at the heart of Dublin, just 800m from O'Connell Bridge. 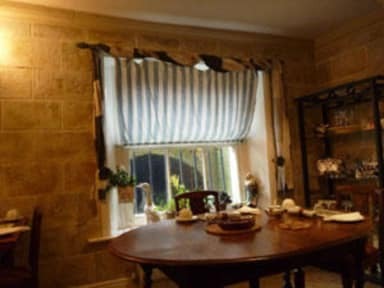 Built in 1787 by Lord Mount Gardiner, our elegant Georgian townhouse has been completely renovated to offer modern facilities and comforts while still retaining as much of the building's original charm as possible. Rooms at Harvey's Guesthouse are equipped with TV, WiFi and tea/coffee-making facilities, as well as graceful sleigh beds. A delicious buffet breakfast is available for 8 euro extra. We look forward to meeting you and helping you make the most of your time in Dublin, and guiding you through the rest of your journey in Ireland. We offer a booking service for country wide tours. Private parking and cots are available. Please notify us in advance of your arrival time. Cancellations must be received at least 2weeks in advance.